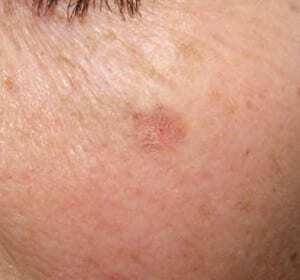 Actinic Keratoses (AKs, precancers) are dry, gritty, rough, scaly, red areas on the skin. They are most commonly found on sun-exposed areas such as the face, scalp, forearms, and back of the hands. They are considered the earliest stage (pre-cancers) in the development of squamous cell carcinoma. It is felt that about 5% of actinic keratoses may develop into squamous cell carcinoma. AK’s are most common in fair skinned individuals and those with an extensive history of sun exposure. Treatment options for actinic keratoses include cryosurgery, surgical removal, and topical chemotherapy creams. 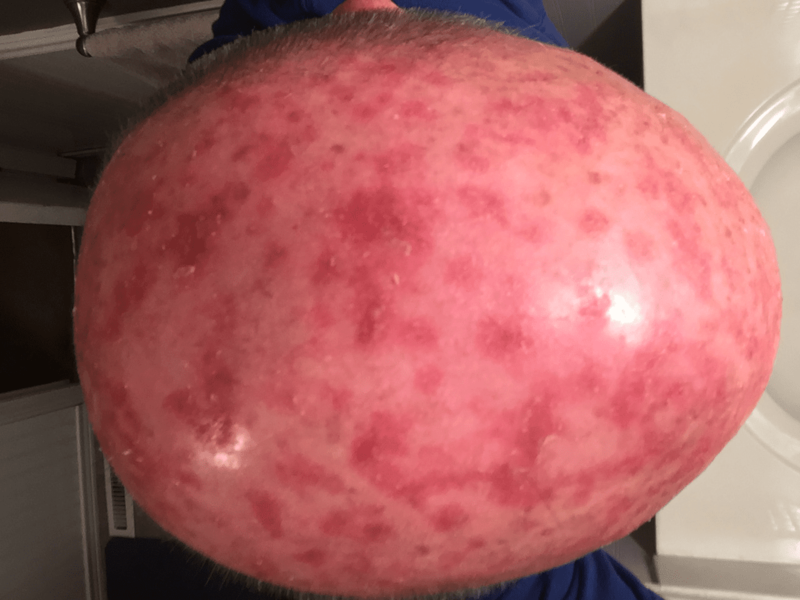 The following is a patient with multiple Actinic Keratoses on the scalp, who was treated with the topical prescription Efudex (5-Flurourical). 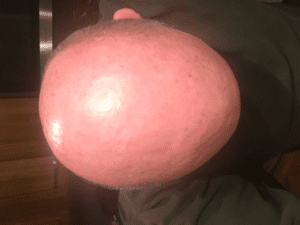 The pictures depict the Actinic Keratoses During Treatment and After Treatment is complete.